Georgina Bloomberg, Noted Animal Lover, Is Dating a Hunting EnthusiastThe heart wants what the heart wants. Here’s Joe Biden Sucking on a Baby’s Pacifier A Bloomberg baby. Baby Will Spend One Week As Mayor of New York City’s GrandsonAfter that, Jasper Michael Brown Quintana will just be another billionaire’s grandkid. Bloomberg Not Good With Children, Says DaughterGo figure. Mayor Bloomberg’s Unborn Grandchild Has a PonyThe lad won’t get a chance to whine for one. Bloomberg’s Daughter’s Boyfriend Got a Humiliating BUIBoating under the influence. The Bloomberg Family Is All for Sporty Women’s ClothingGeorgina weighs in. Bloomberg’s Daughter Not a Fan of Soda BanGeorgina Bloomberg isn’t a huge fan of her dad’s proposed soda ban. Georgina Bloomberg Kind of Wants Dad to Run for PresidentOnly if he wants to! Georgina Bloomberg and Amanda Hearst Join Forces for Puppy Rescue MissionThey also saved a pregnant calico cat. Georgina Bloomberg’s Stalker Remembered to Wish Her Father a Happy PassoverOne could do worse? 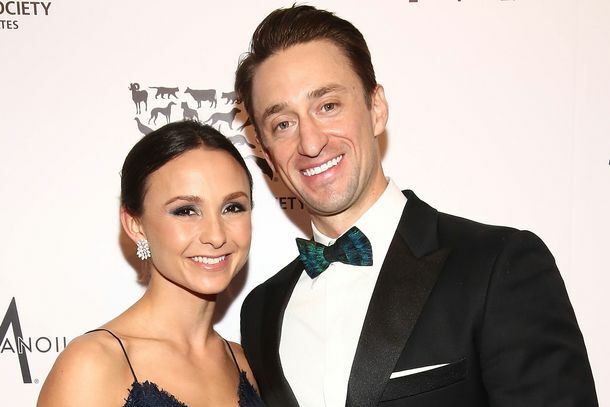 Georgina Bloomberg Has the Last LaughPaging Joey Cheek. Paris Hilton Was Just Picking Her Nose in That PhotoThat’s less embarrassing than making a Hitler mustache, right? Mayor Bloomberg Doesn’t Know How Daughter Georgina Is Going to Support HerselfCertainly not by horseback riding, the mayor groused this weekend. Georgina Bloomberg to Do Her Little Turn on the CatwalkThe mayor’s youngest daughter has inked a deal with Wilhelmina. Georgina Bloomberg Gets Embarrassing Photo Revenge on DadHow many embarrassing photos have your parents ever shown your friends from twenty years ago? The mayor’s daughter just scored a point for you.